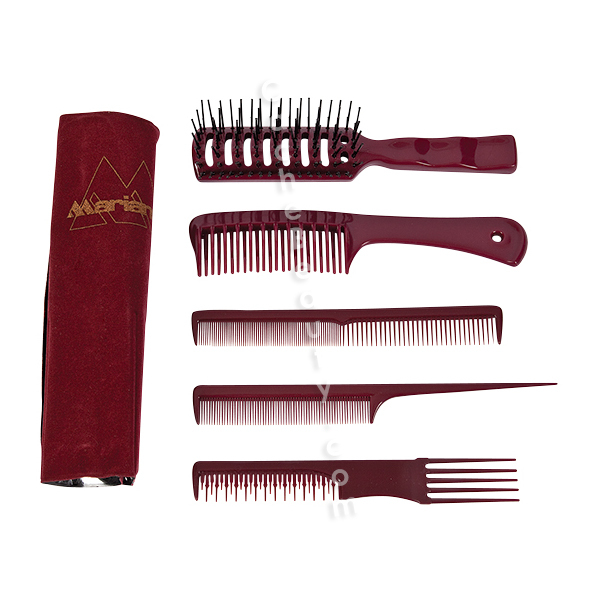 * Kit includes: 7.5" numbered beauty comb, 8.5" tail comb, 8.5" tangle comb, 7.5" teaser hair styler with five plastic prongs, 8" vent brush. * Assorted Colors: Color choices change from shipment to shipment. Specific colors can be requested in the "COMMENT" field at check-out AND we will TRY our best to ship requested color.